Kydex is a new modern material from the west first introduced by KHHI for its kukris and knives. It is relatively new in/for Nepal and we take pride in offering it to our buyers and becoming pioneer. It is a hard coated industrial plastic material having the properties of acrylic and PVC therefore its very suitable for making sheaths, holders and carriers. 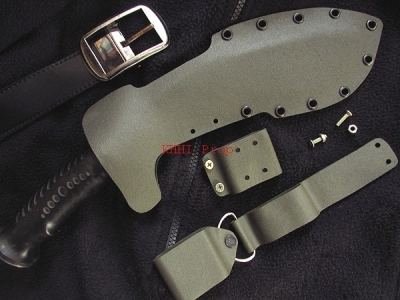 It is very durable, completely water resistant and compatible to various uniforms and gears and hence many prefer it over the traditional sheaths. 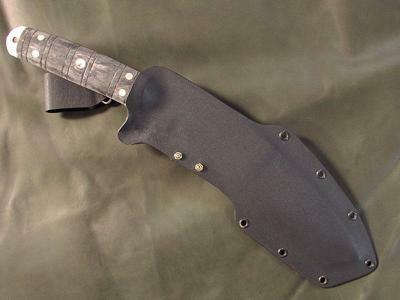 KHHI Nepal offers kydex sheaths for all shapes and sizes of kukris and knives. 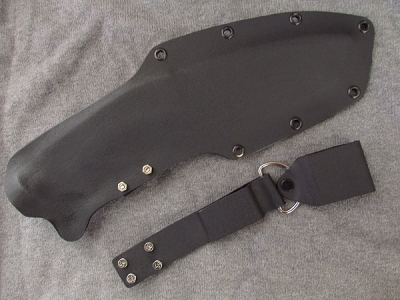 KYDEX SHEATH; a new modern kukri knife sheath material first introduced by KHHI for its kukris and knives. 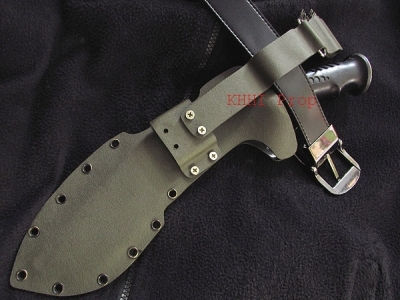 KHHI Nepal offers kydex sheath for all shapes and sizes. Kydex is durable, water resistant and compatible to various uniforms and gears.